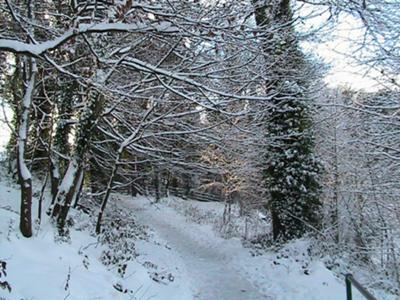 Come along and enjoy the Forest Winter Wonderland at Menai Bridge on Anglesey on 15 December, between 4 and 8 pm. 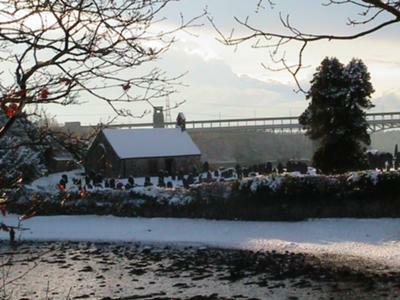 Menai Bridge is gearing up for one of the biggest events in its calendar – The Menai Bridge Winter Festival. After a very successful event last year taking place in Coed Cyrnol, the organisers are busy creating a winter wonderland with a forest grotto, Father Christmas and his elves for this year. Nigel McCann (Chairman) said that last year "the event saw the whole community and community partnerships work together in the development and delivery of the event." He was particularly thrilled at the comments received from traders and visitors alike - "fantastic atmosphere", "very impressive evening", "very busy throughout the event". "This year" he says "we will see an impressive Winter Festival with much more to see encompassing the seasonal thrills and spills, sounds and smells of Christmas." Marques in Menai Bridge will house up to 50 local food producers including liqueurs, chutneys, wines/beers, chocolates, cheeses, meats, cupcakes and local craft workers, to include jewellery, paintings and photography, pottery and herbal presents. Pauline Owen, who is on the planning committee, said "this shows innovation and creativity in delivering an event that uses the natural beauty, historic foundations, religious theme and local skills pooled together to create a magical evening." 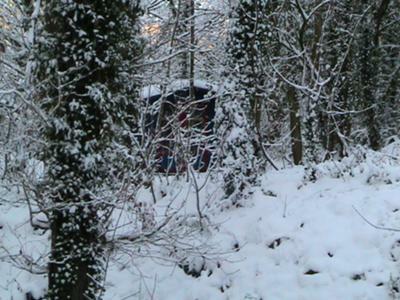 Father Christmas will be in his woodland grotto accompanied by his elves. A pageant is being prepared and performed by children of the local primary school Ysgol y Borth on Church Island with a backdrop of music lights, epilogues ending in fireworks. Mr Gareth Hughes (Headmaster) who is on the planning committee said "the committee all show commitment and enthusiasm to ensure we deliver a unique experience for residents and visitors alike in promoting the area. The school children are all excited about the whole event and look forward to their performance." Different activities will take place this year with the main attraction still under wraps. Make a note in your diary of a festival not to be missed. 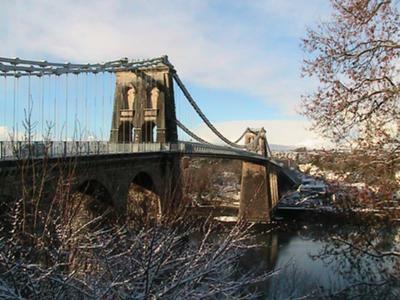 Menai Bridge Winter Festival, Thursday 15th December 4pm-8pm. I have been in contact with Padarn Buses and David has kindly produced a timetable detailing the times of the services to and from Menai Bridge from Llanddona/Llangoed and Beaumaris to coincide with your times. Unfortunately Padarn Buses services to Llansadwrn are only during the day, however there is a bus operated by HDA Coaches leaving Llansadwrn at 16:03 to Menai Bridge, and an Arriva bus leaving Wood Street Bus Station at 18:32 to Llansadwrn. The bus number for those two journeys is 63. Thank yuo for your comment. I'd be unlikely to coem alone. if I have family with me, we would be returning to Lansadwrn/Llanddona/Llangoed/Beaumaris by bus. I'm not clear what route the shuttle bus too last year, but i assumed that it served the villages that have fewer buses in the evening. I see that the Beaumaris/Llanddona bus now runs at 1930 and 2030, significantly later than last year, so perhaps that will solve the problem. Presumably Padarn has been told to expect more evening passsengers that day? didn't get there last year, owing t illness, but wasn't there a shuttle bus service - is that happening this year?